The Aries October 2015 horoscope forecasts that you should seek the cooperation of others to accomplish your objectives this month. You have to adapt to the situations on hand instead of being stubborn and rigid. Personal efforts and determination are not going to yield results. Progress in life will be slow due to the planetary aspects, and you can use this period to review and reorganize your strategies. October 2015 is not a month to begin new projects for the Rams, but instead complete all your pending tasks. Clarity on career issues is missing this month for the Arians when it comes to profession or business. Job seekers should scrutinize their job offers carefully and should accept them only if they think that they will be happy in their jobs. The October 2015 Aries astrology predictions forecast that earning money becomes easier after the first week of the month. Money flows with the help of your social contacts, and there is no need to exert yourself unnecessarily. You will have the support of your partner in fulfilling your financial goals. Financial plans can be worked out after the first week. Surplus money can be used to clear old loans. 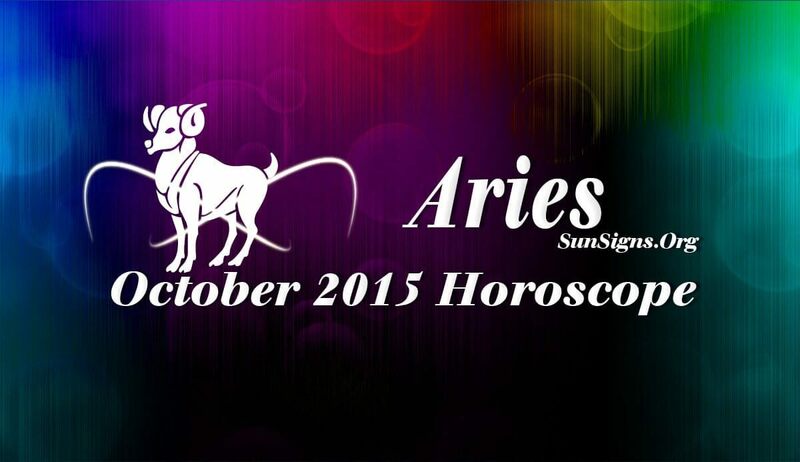 Plenty of opportunities to get into romantic partnerships appear this month in October 2015 for the Aries zodiac sign. Do not be impetuous, and allow love to bloom slowly. Resistance from family members towards your love mate is likely. Take the FLAMES love test to know if your crush is a friend or a lover? The October 2015 Aries horoscope predicts that health will be delicate till 23rd and proper attention should be given towards your well-being. Socializing and healthy food will help your fitness. Last week of the month is ideal for kicking bad habits and detoxification of the body.